Ever heard of Eze Breeze porch enclosures? We've got lots of photos and examples to share with you after we installed an Eze Breeze porch on the house. There are several styles of Eze Breeze porch rooms & windows to choose from -- giving you more ways to utilize your home's indoor/outdoor space. 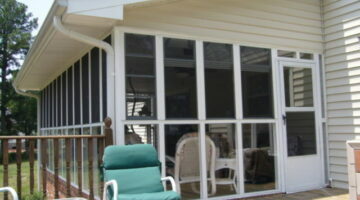 Eze-Breeze porch enclosures are a great way to turn your back porch into a true 3-season room. 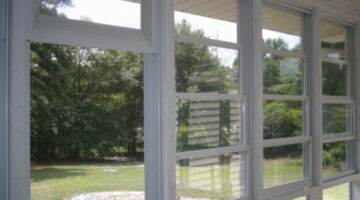 Eze-Breeze is a vinyl glazed window sheet that is custom made to fit the window openings on your porch. Save some cash by installing them yourself. A great DIY project.